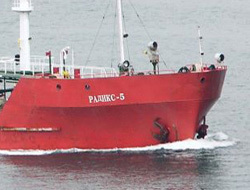 1984-built Russian flagged chemical tanker named ?RADIX-5?, which belongs to Palmali Shipping directed by Mubariz Mansimov Gurbanoglu, run aground off Kilyos coast. 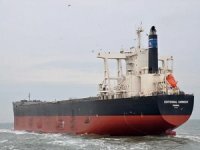 1984-built Russian flagged chemical tanker named "RADIX-5", which belongs to Palmali Shipping directed by Mubariz Mansimov Gurbanoglu, run aground off Kilyos coast. 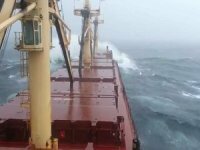 Chemical tanker named "RADIX-5" of Palmali Shipping, which was anchored because of storm and sea conditions in Blacksea, run aground off Kilyos coast with storm. 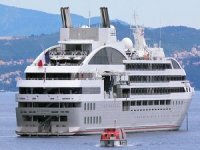 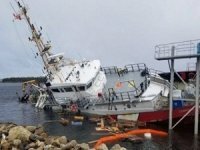 Salvage teams directed by Directorate General of Coastal Safety have gone in order to save 12 crew on the ship. But since the captain has not left the vessel, salvage teams of Directorate General of Coastal Safety keep chasing the vessel. 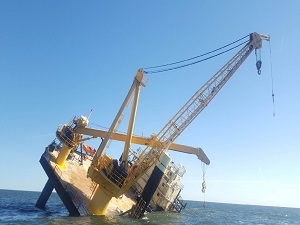 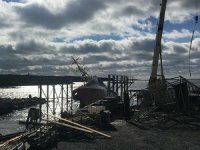 According to the reporters of authorities, there is not any leakage which cause marine pollution as the result of 3 grounded vessel off Kilyos in the last five hours.